When it comes to football you don't often here about the people behind the scenes working away, helping the team's key individuals performing at their best. 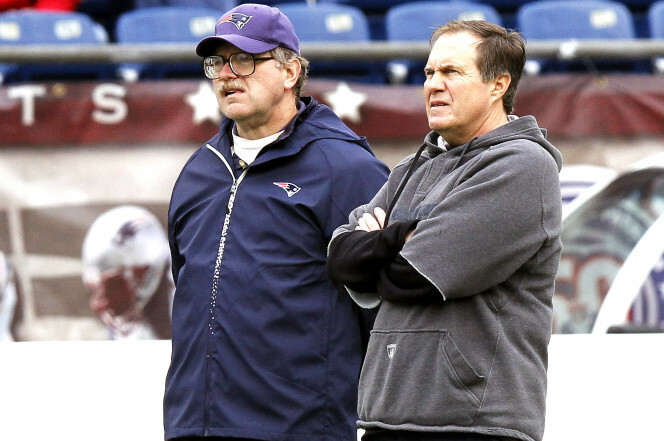 Patriots football research director Ernie Adams is an example of this. On Wednesday, quarterback Tom Brady relayed the story of how Adams has influenced the team's passing game. "You have to be able to make them defend the width of the field, the length of the field. Ernie once told me, ‘Make them defend every blade of grass.’ I think that’s a great thing to do," Brady said Wednesday before the team's first practice of the week in preparation for Sunday's game against the Pittsburgh Steelers at Heinz Field. "That’s how you stress the defense. You can force the ball to all different parts of the field and they never really know who’s going to get it. They can key on certain players, but if you do that, you’re vulnerable to other things. It’s just part of ... it’s good to have kind of a lot of tools in your toolbox and to be able to use them at different times. Whatever you need, that’s what you’ve got to pull out and be able to do." Adams has obviously earnt the respect of the team through his research as it has contributed to one of the most successful organizations NFL history. He attends all game and practices as well as being part of the team's draft room which shows the importance his role is for the Pats.